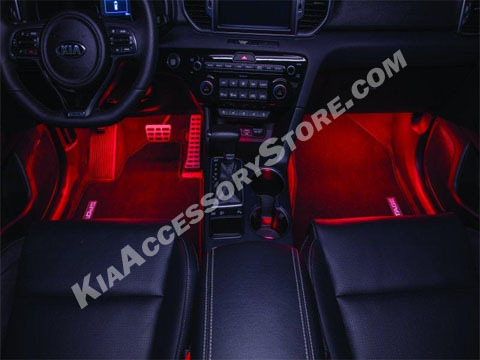 This fully integrated lighting system allows you to control a set of red LED lights within the vehicle. Lights are installed in the cup holders and front foot wells. This system integrates with the driver and passenger front doors which emits a soft white light when opened. For vehicles with automatic transmissions only.